Annie Wersching: I knew before Season 8 started. One thing the producers knew was that Jack and Renee were eventually going to get together, then he was going to lose her, and that would be the impetus for him to go all kinds of crazy to the point where he’s just covered in blood. Annie Wersching: I’m a huge 24-head and have watched every episode of every season. I thought, “Oh, bummer,” but a cool a– death on 24 is like a big moment that you remember years later, so I knew it would have a big impact. When I learned that it was in Episode 17, I found out from a director who was like, “Oh I just read Episode 17 and you get it and then you get it.” I was very emotional that night. Annie Wersching: In not knowing each other for that long, they are very similar and understood each other in a lot of ways. 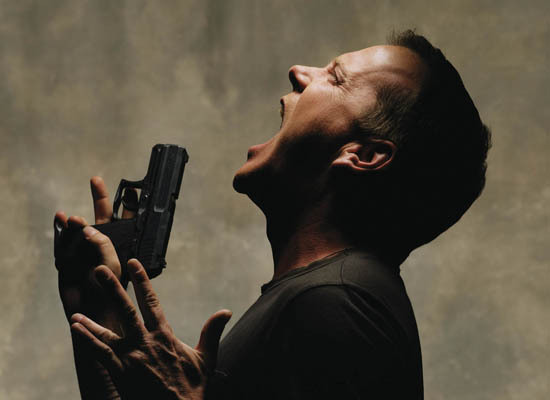 No one truly understood what it is to exist as someone who has to do the things that Jack Bauer does. Renee is as close as he was going to get to finding someone that really got him, and vice versa. Annie Wersching: It was definitely scary. He was like, “I’ve been asked to do this one other time in my career when I was 18, and they never asked me again.” It was a big decision for him to commit to whether or not he really wanted to do it. There was also the option of starting to and having her be shot. It was all about the logistics of getting a shirt on him for when he takes her to the hospital; it was bad enough he was barefoot. They wanted it to be that we were just pausing for a second and were going to go back. Annie Wersching: Poor Jack cannot get a break. As you can imagine, he wants to take care of every single person who was involved with this … I’m so sad that I died, but she’s very much still there in these last episodes all the way up until the end. For the most part, he goes rogue and wants to do things that people don’t want him to do. Of course, he’s Jack Bauer, so he finds a way to do them. Annie Wersching: Definitely. He’s in a scary place for what that line is in these last episodes. He’s a tragic hero. 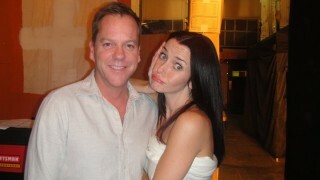 To be the one that makes him freak out in the final run of 24 is a pretty amazing role to have. Annie Wersching: I’m going to bring this little life into the world in August. You never know what happens when you have a kid, but I love to work, so I imagine I’ll be out there trying to see what’s next as quickly as possible.